The game dethrones Street Fighter V’s long-standing reign. Dragon Ball FighterZ’s debut EVO outing has bought in an impressive amount of competitors this year to be the most contested game of the show—over 2,500 people signed up to compete for the EVO title. EVO is one of the world’s biggest fighting game events that brings the best players in the world together in one place. Roughly 11,000 players will compete this year for a chance to be crowned the EVO champion, along with taking home a huge cash prize. 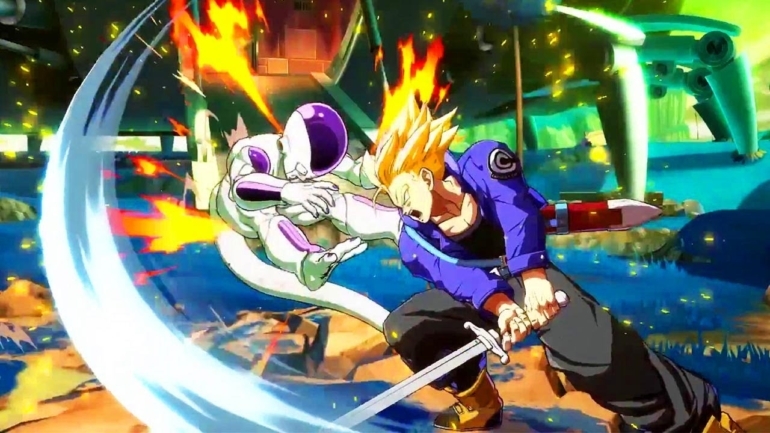 The overall numbers are an increase from 2017 (10,000), with Dragon Ball FighterZ and BlazBlue: Cross Tag Battle making their EVO debut at this year’s festivities. Dragon Ball FighterZ’s rise to the top means that a Street Fighter title doesn’t have the most entrants at an EVO for the first time in awhile. The Street Fighter series has had a dominant grip over EVO for the past few years ranging back as far as 2011 when Street Fighter IV was the main game of the show. The 2018 numbers for Street Fighter V also represent a drop in registration from the title since last year when over 2,600 players took part. Interest in Tekken 7 saw an increase from last year to make it the third most popular game of the show. Injustice 2’s numbers were also cut nearly in half—it’s the lowest contested game this year. Both Smash Bros. titles, however, saw a decrease in entrants with competitors likely preparing for the next title in the series, Super Smash Bros. Ultimate—which was announced at this year’s E3.